Now, therefore, I, Harold L. Ickes, Secretary of the Interior, by virtue of the authority conferred upon me by the said Act of June 18, 1934, (48 Stat. 984), do hereby issue and submit this charter of incorporation to the Chippewa Cree Tribe of the Rocky Boy's Reservation to be effective from and after such time as it may be ratified by a majority vote in an election at which at least thirty per cent of the adult Indians living on the reservation shall vote. 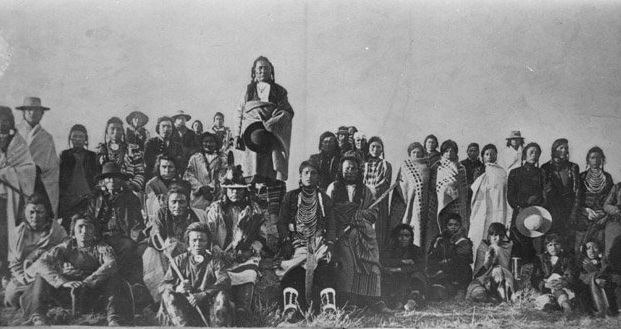 In order to further the economic development of the Chippewa Cree Tribe of the Rocky Boy's Reservation in Montana by conferring upon the said Tribe certain corporate rights, powers, privileges and immunities; to secure for the members of the Tribe an assured economic independence; and to provide for the proper exercise by the Tribe of various functions heretofore performed by the Department of the Interior, the aforesaid Tribe is hereby chartered as a body politic and corporate of the United States of America, under the corporate name "The Chippewa Cree Tribe of the Rocky Boy's Reservation." 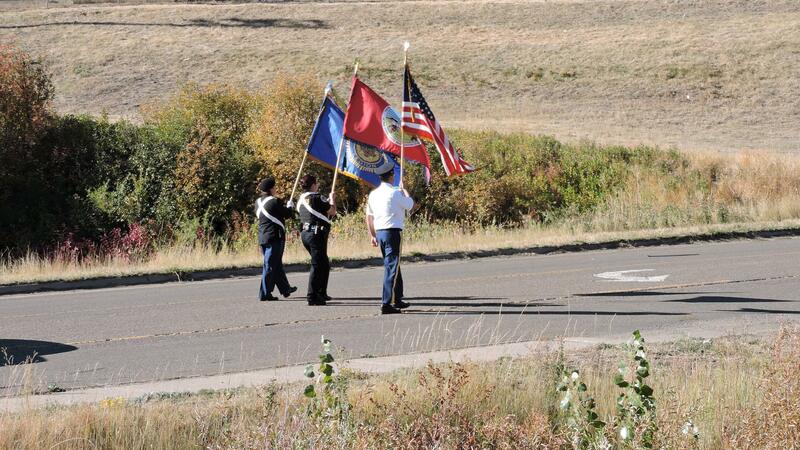 The Chippewa Cree Tribe of the Rocky Boy's Reservation shall, as a Federal Corporation, have perpetual succession. 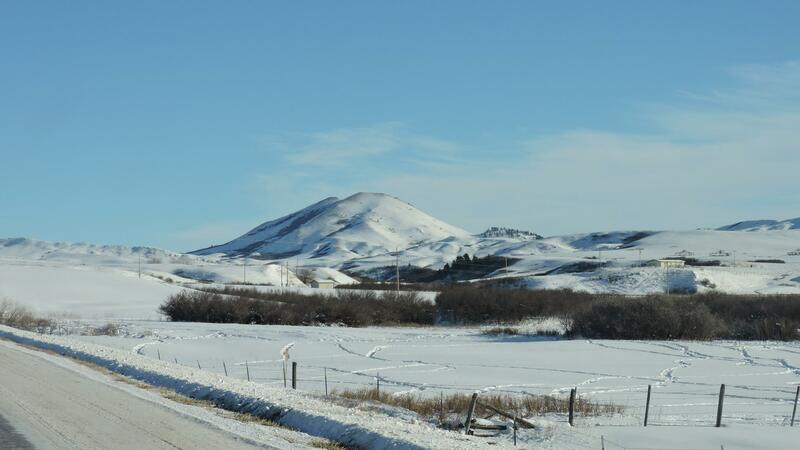 The Chippewa Cree Tribe of the Rocky Boy's Reservation shall be a membership corporation. Its members shall consist of all persons now or hereafter members of the Tribe as provided by its duly ratified and approved Constitution and By-laws. 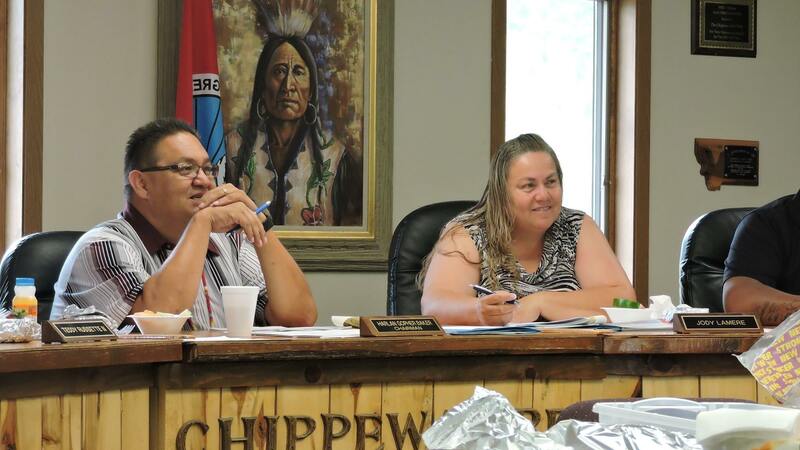 The Business Committee of the Chippewa Cree Tribe, established in accordance with the said Constitution and By-laws of the Tribe, shall exercise all the corporate powers hereinafter enumerated. To adopt, use, and alter at its pleasure a corporate seal. 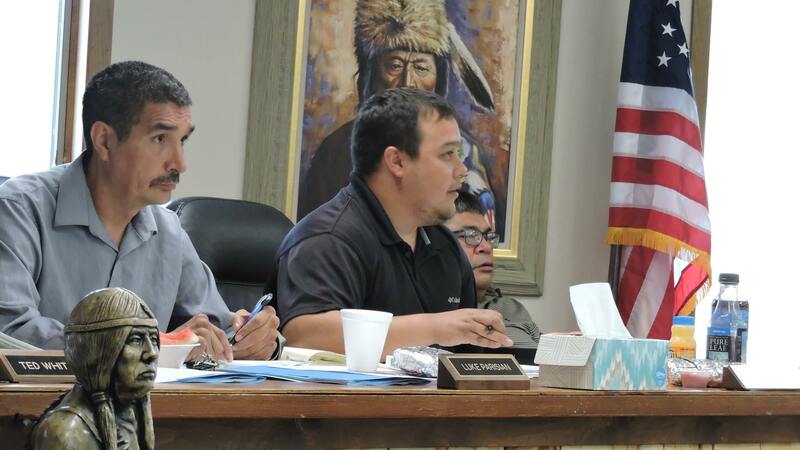 No sale or mortgage may be made by the Tribe of any land, or interests in land, including water power sites, water rights, oil, gas, and other mineral rights, now or hereafter held by the Tribe within the boundaries of the Rocky Boy's Reservation. No mortgage may be made by the Tribe of any standing timber on any land now or hereafter held by the Tribe within the boundaries of the Rocky Boy's Reservation. No leases, permits (which terms shall not include land assignments to members of the Tribe) or timber sale contracts covering any land or interests in land now or hereafter held by the Tribe within the boundaries of the Rocky Boy's Reservation shall be made by the Tribe for a longer term than ten years, and all such leases, permits or contracts must be approved by the Secretary of the Interior or by his duly authorized representative; but oil and gas leases, water power leases, or any leases requiring substantial improvements of the land may be made for longer periods when authorized by law. No action shall be taken by or in behalf of the Tribe which in any way operates to destroy or injure the tribal grazing lands, timber, or other natural resources of the Rocky Boy's Reservation. All leases, permits, and timber sale contracts relating to the use of tribal grazing or timber lands shall conform to regulations of the Secretary of the Interior authorized by section 6 of the Act of June 18, 1934, with respect to range carrying capacity, sustained yield forestry management, and other matters therein specified. Conformity to such regulations shall be made a condition of any such lease, permit, or timber sale contract, whether or not such agreement requires the approval of the Secretary of the Interior, and violations of such condition shall render the agreement revocable, in the discretion of the Secretary of the Interior. To borrow money from the Indian Credit Fund in accordance with the terms of Section 10 of the Act of June 18, 1934, (48 Stat. 984), or from any other Governmental agency, or from any member or association of members of the Tribe, and to use such funds directly for productive tribal enterprises, or to loan money thus borrowed to individual members or associations of members of the Tribe: Provided, That the amount of indebtedness to which the Tribe may subject itself, other than indebtedness to the Indian Credit Fund, shall not exceed $50,000.00, except with the express approval of the Secretary of the Interior. To engage in any business that will further the economic wellbeing of the members of the Tribe or to undertake any activity of any nature whatever, not inconsistent with law or with any provisions of this charter. To make and perform contracts and agreements of every description, not inconsistent with law or with any provisions of this charter, with any person, association, or corporation, with any municipality or any county, or with the United States or the State of Montana including agreements with the State of Montana for the rendition of public services: Provided, That any contract involving payment of money by the corporation in excess of $3,000.00 in any one fiscal year shall be subject to the approval of the Secretary of the Interior or his duly authorized representative. To pledge or assign chattels or future tribal income due or to become due to the Tribe: Provided, that such agreements of pledge or assignment, other than an agreement with the United States, shall not extend more than 10 years from the date of execution and shall not cover more than one-fourth the net tribal income in any one year: And Provided further, that any such agreement shall be subject to the approval of the Secretary of the Interior or his duly authorized representative. To deposit corporate funds, from whatever source derived, in any national or state bank to the extent that such funds are insured by the Federal Deposit Insurance Corporation, or secured by a surety bond, or other security, approved by the Secretary of the Interior; or to deposit such funds in the Postal Savings Bank or with a bonded disbursing officer of the United States to the credit of the corporation. To sue and to be sued in courts of competent jurisdiction within the United States; but the grant or exercise of such power to sue and to be sued shall not be deemed a consent by the said Tribe or by the United States to the levy of any judgment, lien or attachment upon the property of the Tribe other than income or chattels specially pledged or assigned. To exercise such further incidental powers, not inconsistent with law, as may be necessary to the conduct of corporate business. Termination of Supervisory Powers. Upon the request of the Business Committee for the termination of any supervisory power reserved to the Secretary of the Interior under sections 5 (b) (3), 5 (c), 5 (e), 5 (f ), 5 (g), and section 8 of this charter, the Secretary of the Interior, if he shall thereupon submit the question of such termination to the Tribe for referendum. 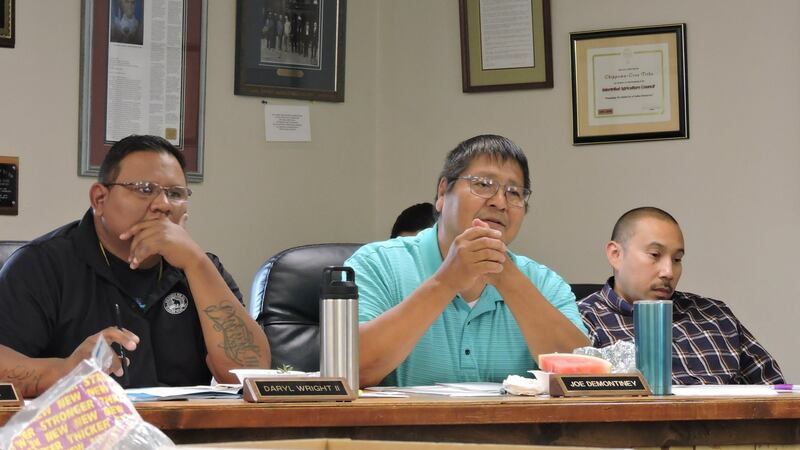 The termination shall be effective upon ratification by a majority vote at an election in which at least thirty per cent of the adult members of the Tribe residing on the reservation shall vote. If at any time after five years from the effective date of this charter, such request shall be made and the Secretary shall disapprove it or fail to approve or disapprove within ninety days after its receipt the question of the termination of any such power may then be submitted by the Secretary of the Interior or by the Business Committee, to popular referendum of the adult members of the Tribe actually living within the reservation and if the termination is approved by two-thirds of the eligible voters, shall be effective. No property rights of the Chippewa Cree Tribe, as heretofore constituted, shall be in any way impaired by anything contained in this charter, and the tribal ownership of unallotted lands, whether or not assigned to the use of any particular individuals, is hereby expressly recognized. The individually owned property of members of the Tribe shall not be subject to any corporate debts or liabilities, without such owners' consent. Any existing lawful debts of the Tribe shall continue in force, except as such debts may be satisfied or cancelled pursuant to law. The Tribe may issue to each of its members a non-transferable certificate of membership evidencing the equal share of each member in the assets of the Tribe and may distribute per capita, among the recognized members of the Tribe, all profits of corporate enterprises or income over and above sums necessary to defray corporate obligations and over and above all sums which may be devoted to the establishment of a reserve fund, the construction of public works, the costs of public enterprises, the expenses of tribal government, the needs of charity, or other corporate purpose. No such distribution of profits or income in any one year amounting to more than $20.00 shall be made without the approval of the Secretary of the Interior. No distribution of the financial assets of the Tribe shall be made except as provided herein or as authorized by Congress. This charter shall not be revoked or surrendered except by act of Congress, but amendments may be proposed by resolutions of the Business Committee, which, if approved by the Secretary of the Interior, to be effective shall be ratified by a majority vote of the adult members living on the reservation at a popular referendum in which at least 30 percent of the eligible voters vote. This charter shall be effective from and after the date of its ratification by a majority vote of the adult members of the Chippewa Cree Tribe living on the Rocky Boy's Reservation, provided at least 30 per cent of the eligible voters shall vote, such ratification to be formally certified by the Superintendent of the Rocky Boy's Agency and the Chairman of the Business Committee of the Chippewa Cree Tribe. Submitted by the Secretary of the Interior for ratification by the Chippewa Cree Tribe of the Rocky Boy's Reservation in a popular referendum to be held on July 25, 1936. WASHINGTON, D. C., July 18, 1936. It is hereby certified that the Charter of Incorporation, issued to the Chippewa Cree Tribe of the Rocky Boy's Reservation, in Montana, by the Secretary of the Interior under date of July 18, 1936, was duly ratified at an election held July 25, 1936, at which more than thirty per cent of the eligible voters of the Rocky Boy's Reservation voted (the vote being 161 for ratification and 5 against; the number of eligible voters being 270). Superintendent, Rocky Boy's Agency, Montana.